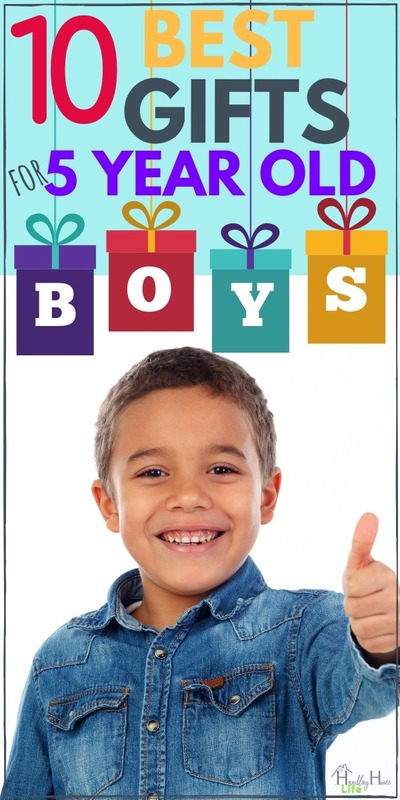 Are you looking for gifts for 5 year old boys? As a mom of 4 boys, I am quite seasoned when it comes to picking out the best toys for 5 year olds! By age five, most kids are becoming much more independent and are gaining more self control than during their toddler years. Children at this stage of development are also becoming quite creative. Five year old children are usually able to play independently with their toys for longer stretches of time. They are also better able to share and play with other children, making this a good time for introducing cooperative games and activities. There are so many toys to choose from that parents can be left feeling overwhelmed when choosing the best gift for their child. 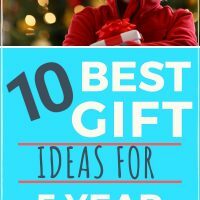 To help you narrow things down a bit, I have chosen ten gifts 5 year old boys will LOVE! SHORT ON TIME? 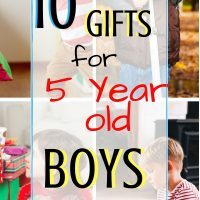 SAVE TO PINTEREST NOW & READ ABOUT GIFTS FOR 5 YEAR OLD BOYS LATER! 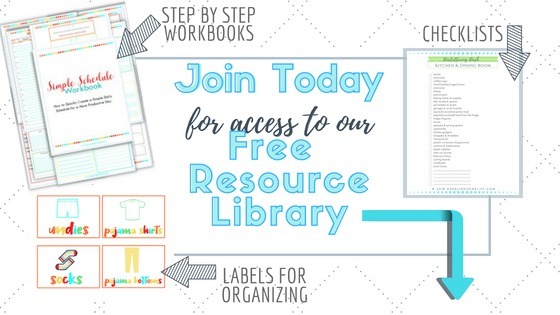 As a former 1st grade teacher, I’d be remiss if I didn’t suggest some learning toys! But the truth is, so much learning is going on with just about any toy you choose for your child. Even if it’s not labeled as an educational toy, your child is likely still learning very important skills such problem solving and cause and effect. I tend to steer my sons toward toys that are not electronic, so I was a bit unsure about this electronic book at first. So happy I gave it a try because my boys LOVE it! The set comes with 8 books and a “Me Reader Module” that reads the books aloud. The simple layout of the electronic “Reader” helps young children stay focused while listening to the story. The Superhero stories are action packed with cool sound effects that little boys love! My boys really enjoy being able to “read independently” and it’s so helpful to keep them busy while I’m making dinner. You can choose from many different book sets such as Eric Carle, Disney stories, Paw Patrol, and many others! This is such a fun game that can be played with up to seven players or can be played independently. Players slide the “zinger” to receive a tile that has a simple picture of an object with the word. Then, the player has to match the tile to the word on his Zingo card. If nobody has the word from the tile, the child must push the tile back into the game through the little slot. My kids have the best time with this game and they are learning so many things! Even pre-readers can ‘read‘ the word from the tile by naming the picture. That’s a lot of learning packed into such a fun game! My kids love to build forts but they never want to clean up all of the pillows, sheets, and blankets when they are finished. Take the hassle out of fort building with this epic inflatable fort that is ready in less than 30 seconds! Simply use any standard box fan to inflate. Parents will love that it stores compactly when you’re not using it making clean up time and storage a breeze. The fort is a over 6 feet in diameter and over 4 feet tall so several kids can play inside, or it can be a great spot for an escape if one child needs some alone time to chill. Let imaginations run wild as the fort becomes a tent for camping, jail for the bad guys, an igloo, a movie theater….the possibilities are endless making this one of the best toys for 5 year-olds! This is the ideal gift for your little dinosaur lover! The kit includes 12 dino eggs and each egg has a different toy dinosaur buried inside. Your little paleontologist will use the included chisels and brushes to chip away at the eggs and discover the dinosaur buried beneath. Then, they match the dinosaur with the learning card that gives interesting facts and information for each different dino. You can also pair the Egg Dig Kit with a dinosaur book to extend the dinosaur learning! Such a fascinating and fun gift that 5 year old boys are sure to love! This award winning toy for 5 year olds is also fun for all ages! Be careful not to lose your cargo into the sea! This is a balancing game that your little pirate will love to play over and over again. It can be played solo—or others can join the fun. Mom and dad will enjoy playing this too! Players roll the die to decide which item to put onto the boat, and must do so without tipping all of the cargo overboard. A simple game concept without complicated rules means children can play independently….and this means mama can get dinner ready! Win-Win! It can be a challenge to think of gifts for 5 year old boys to celebrate birthdays. This is especially challenging if the birthday is near Christmas. All four of my sons have birthdays close-ish to the holidays so I’m always looking for unique toys for their birthday. Be sure to make this adorable diy birthday banner to celebrate your birthday boy! Your little guy will love saving his money in this safe. He can insert cash or coins for safe keeping. It’s easy to create a password that will open the safe in order to retrieve the valuables. If he forgets the password, no worries. Mom and Dad can help reset it—and if that fails, removing the batteries for 5 minutes will reset the password to 0000. Speaking of batteries, it requires 3 AA batteries that are not included so be sure to have some on hand. If you have a budding engineer at your house, I assure you that he will love these magnetic builders! My boys are fascinated with magnets and have the best time creating and building with the magnetic geometric shapes. If you are considering these as a gift for a nephew or friend’s birthday and worried the child may already have magnetic blocks—worry no more. Having lots of magnetic building pieces means he can create even more. These are sure to bring hours of imaginative play. A gift guide wouldn’t be complete without a Lego set. This lets your little man build a police helicopter, police car, and a sports car full of stolen money. The police officers go on a high speed chase to capture the crooks. This Lego set is for kids ages five to twelve years old, and those just turning five may need a little help putting this together. Looks like dad will get to play too! This is a great big version of the classic 4-in-a-row game. It measures 3 feet wide and 32 inches tall. You can set up in seconds and it also comes with a carrying case for easy storage. This game can be played indoors or outside, making it perfect for backyard activities or Sunday fun-day with the family. What a fun way to spend a rainy day indoors, or move it outside for fun in the sun! Kids and grownups BOTH will be entertained and love playing this life size game! Busy five-year-olds will be zooming all around with this fun scooter. It has an easily adjustable t-bar so it can be used by children as young as three years old all the way up to 120 pounds. It is lightweight and you lean to steer with an easy to use rear brake. Great way to keep kids moving and active. There are three colors to choose from and the wheels have LED lights (no batteries required) that get brighter as your little speedster goes faster. Don’t forget a helmet for safety! WHAT SUGGESTIONS DO YOU HAVE FOR GIFTS FOR 5 YEAR OLD BOYS? These are some fantastic ideas! I have a five year old boy and am always looking for new ideas for him (that his older brother doesn’t already have)! Thank you!! Thank you, Christine! It’s so hard to find things the kids are actually going to play with for longer than a day! I love unique toys that will get lots of use!